I love sailing, books, travel, and adventure! So, I think I have the greatest job in the world - I get to write stories full time. 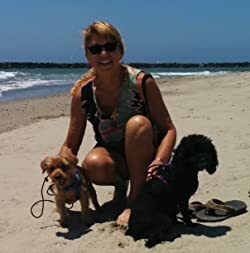 I've been sailing most of my life and that led me to set my first nautical suspense novels on the waterfront in Fort Lauderdale. Featuring Florida female tug and salvage captain, Seychelle Sullivan, there are four books in the series, SURFACE TENSION, CROSS CURRENT, BITTER END, and WRECKERS' KEY. My latest books are something new and different for me. CIRCLE OF BONES: a Caribbean thriller, features a female solo sailor, Maggie Riley, and a maritime archeologist (and conspiracy nut) Cole Thatcher searching for the wreck of a World War II submarine. The second book finds Riley in Thailand trying (unsuccessfully) to forget about Cole. DRAGON'S TRIANGLE was just released in June 2014. So, in DRAGON'S TRIANGLE, I have Riley sail her boat 1800 miles through the South China Sea. She travels from Thailand to the Philippines and at the end of her voyage, Riley discovers true love. Please enter your email address and click the Follow button to follow Christine Kling!